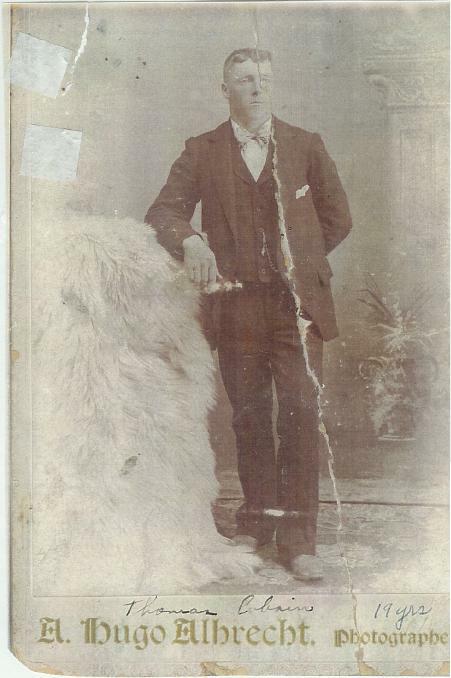 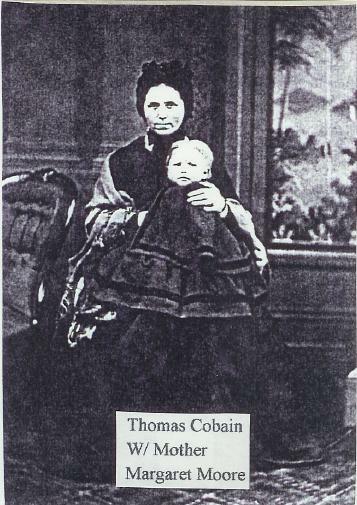 E. Thomas Cobain taken in Ballymena, Co. Antrim, Ireland, circa 1884. 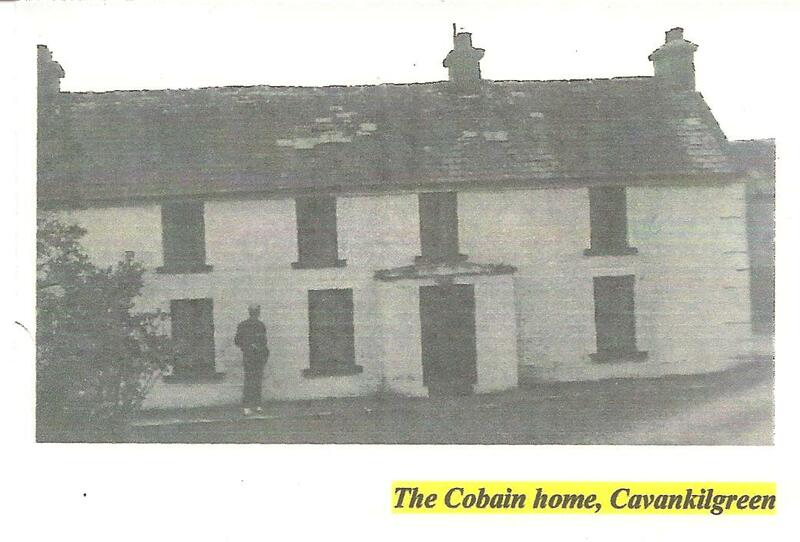 A picture of the old Cobain homestead in Co. Tyrone. 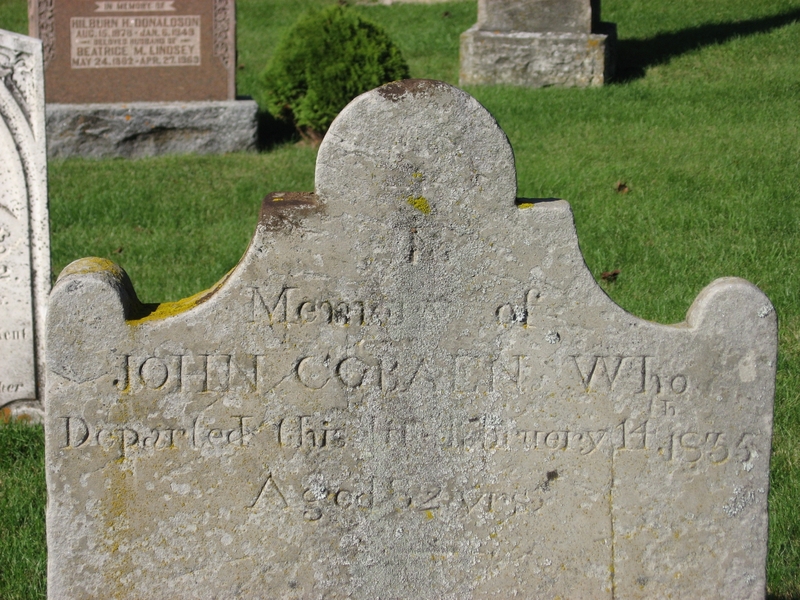 John Cobean Head Stone ca 1752-1835. 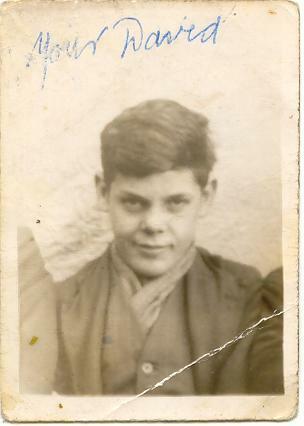 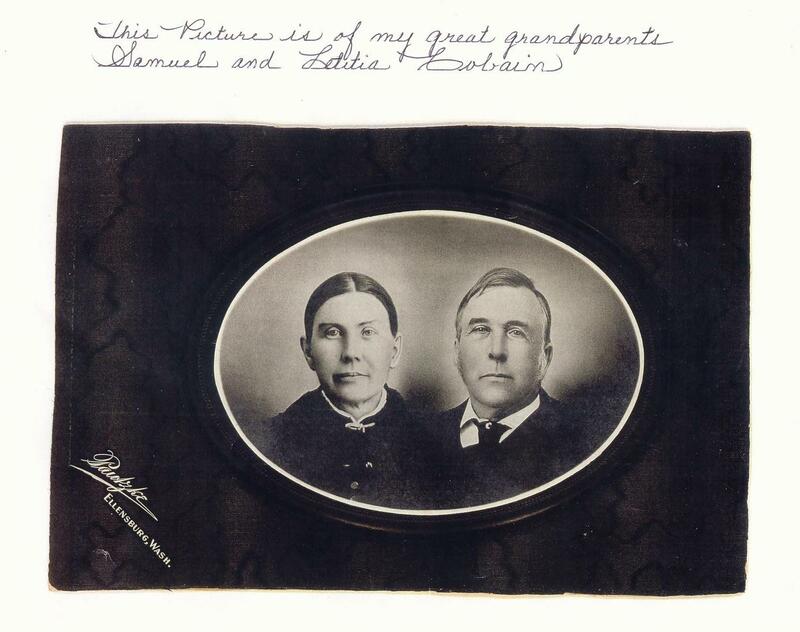 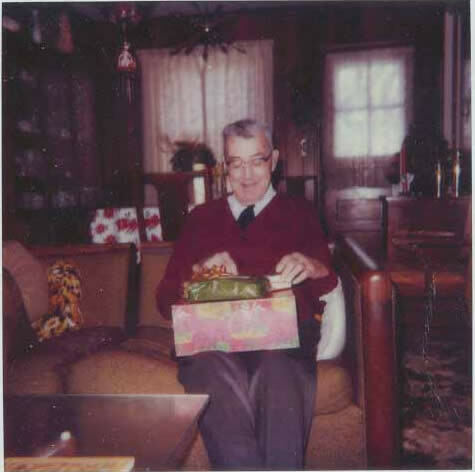 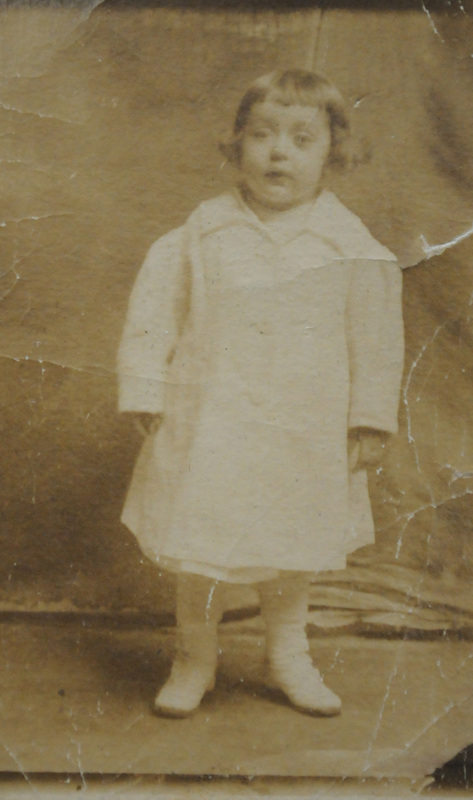 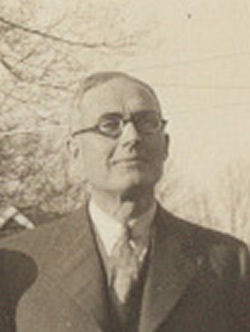 Edward Benjamin (Ben) Cobane, born 1936, youngest son of Samuel Cobane (1886 - 1957). 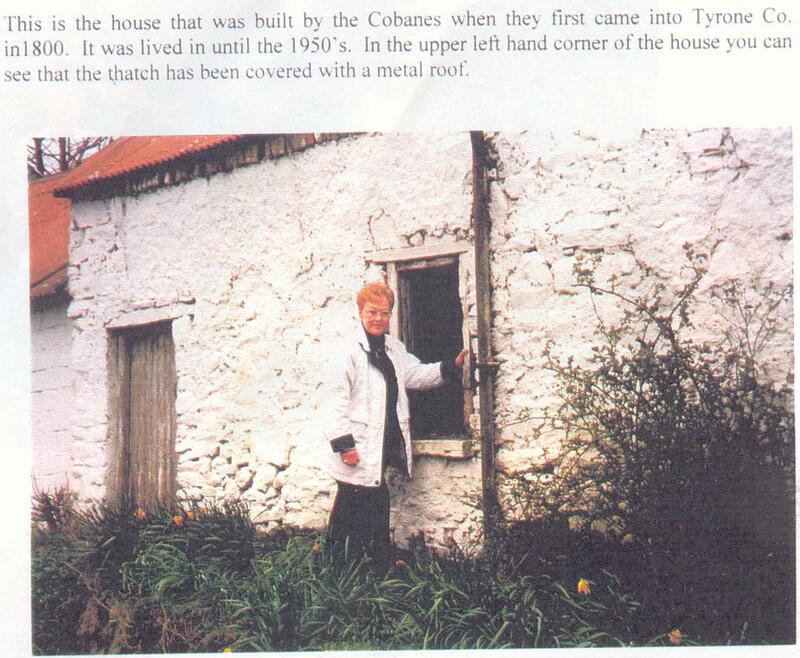 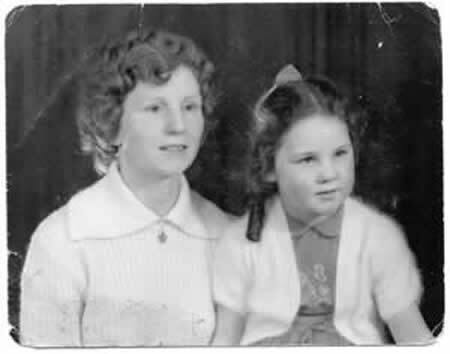 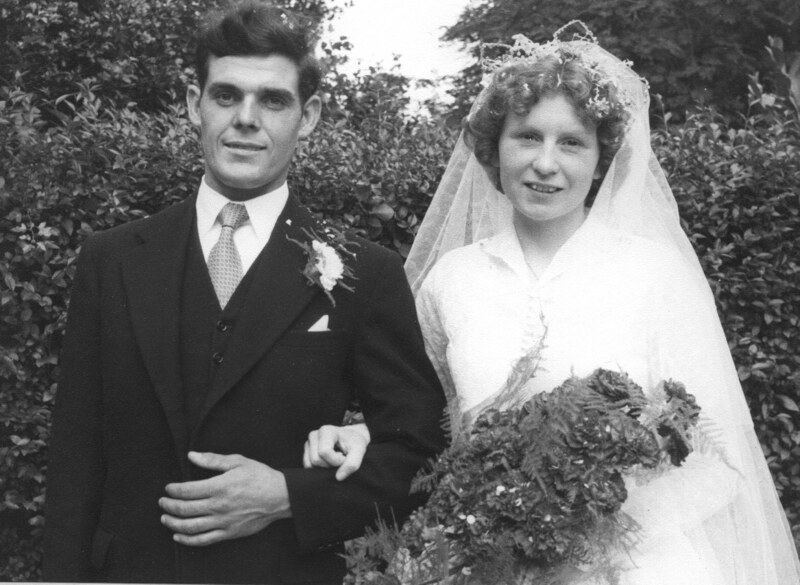 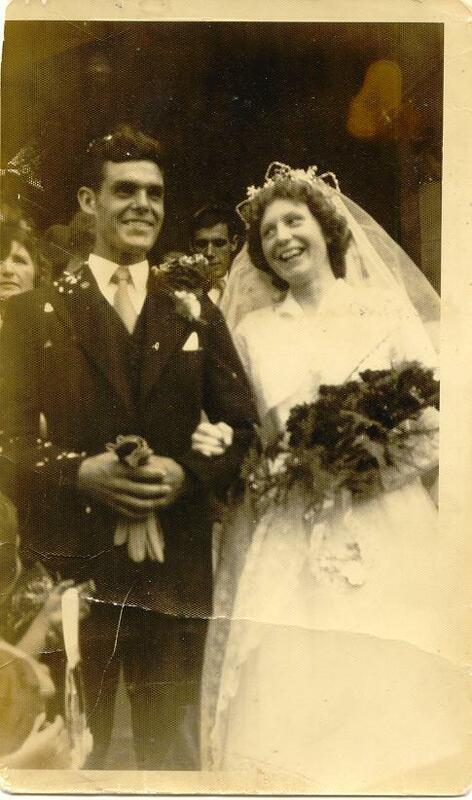 Pictured here with wife Ethel (nee Crawford) in their garden at Tirooney, Co. Tyrone. 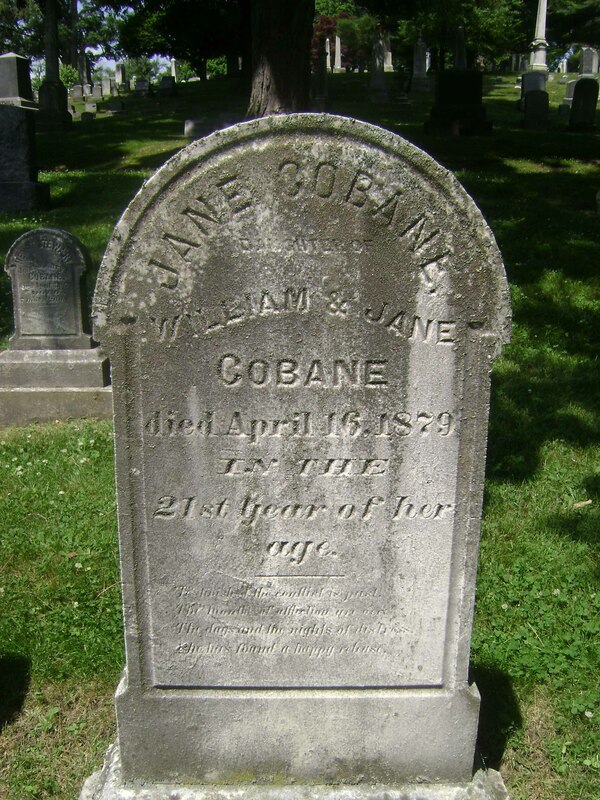 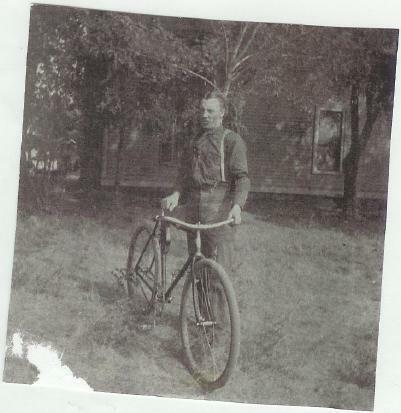 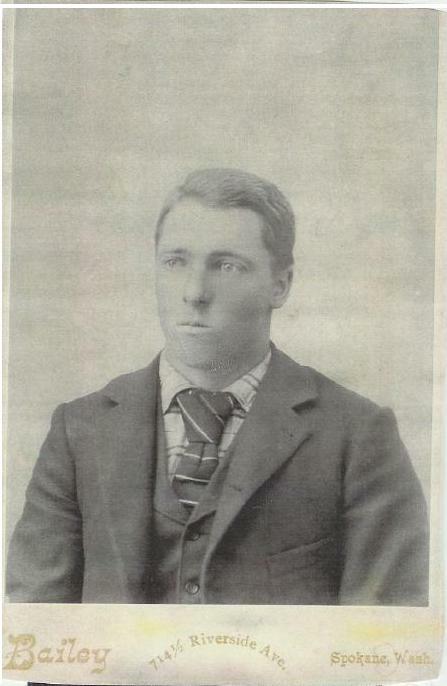 John Cobane Sr., born 1880 in New York. 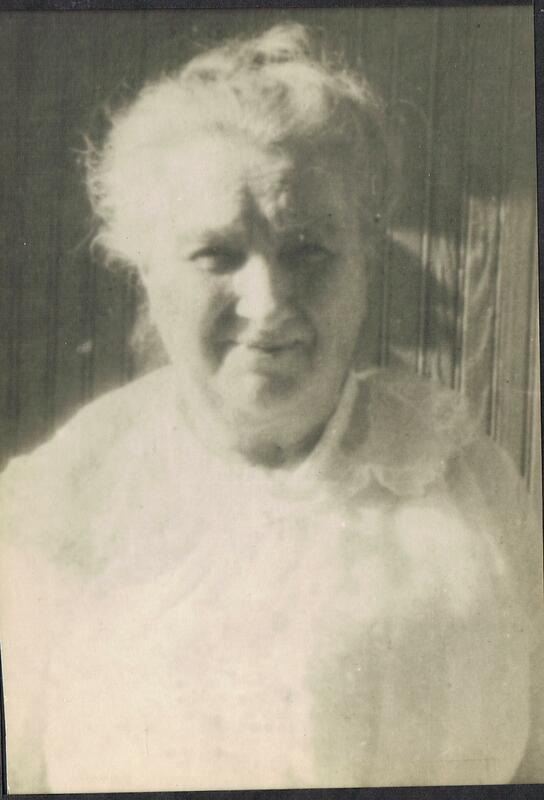 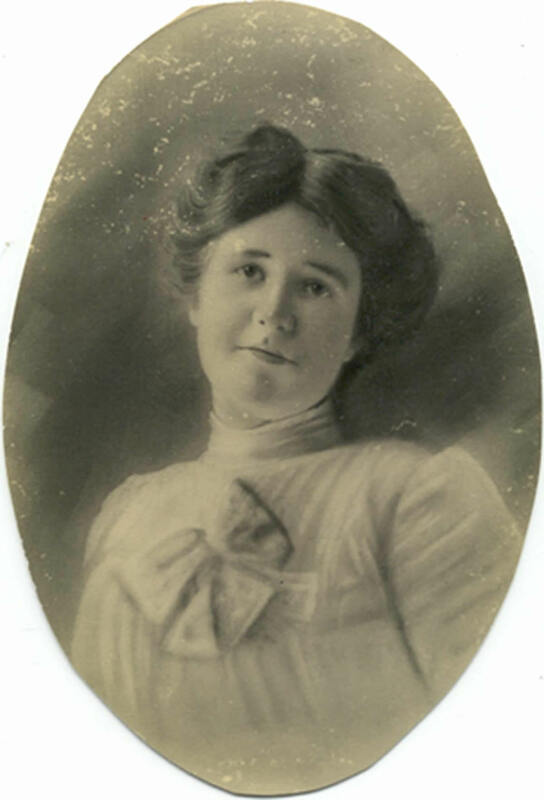 Mary S. Cobane Shupe, b.1890. 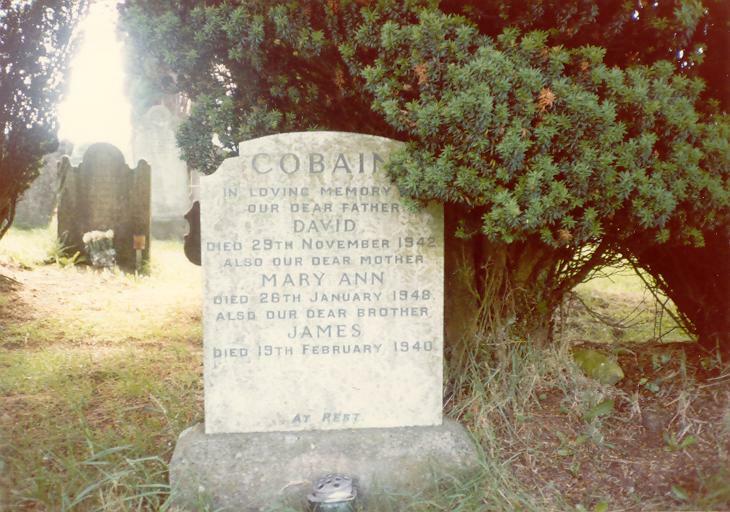 Son of John Cobane Sr.
Jane Cobane b. 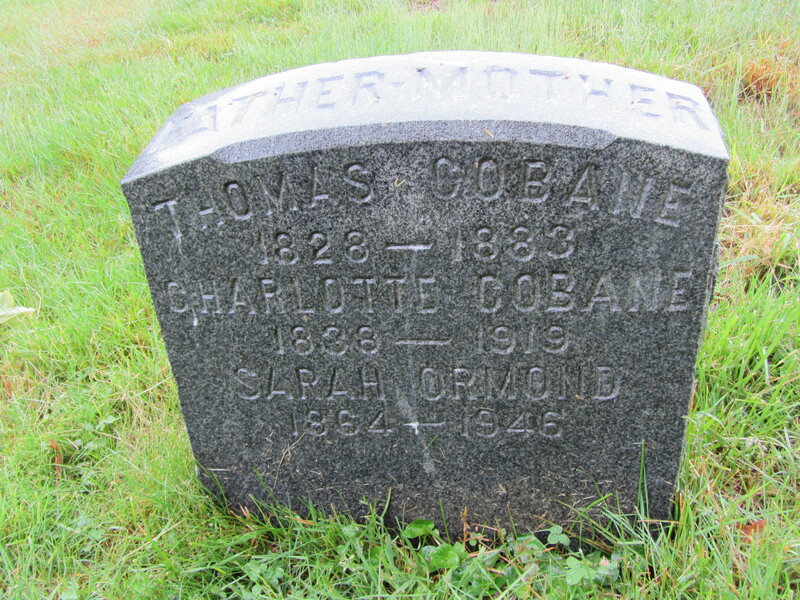 1858 Tulleynarney, Co. Monaghan, died 1879, New York. 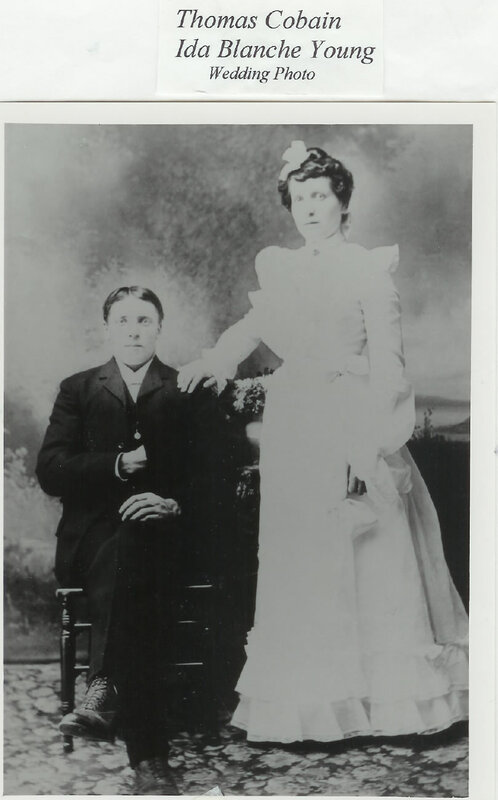 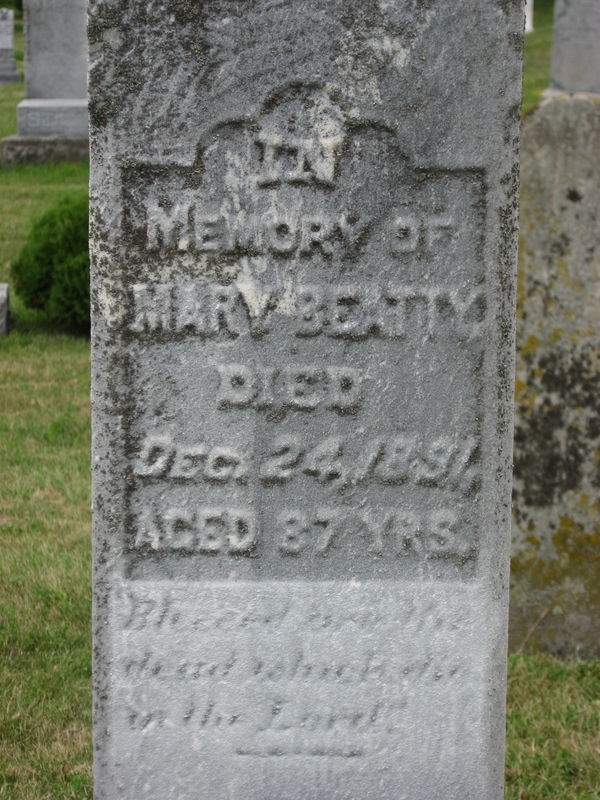 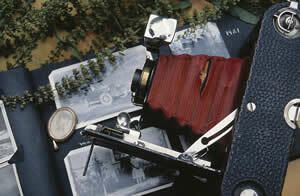 She immigrated to New York in 1872 and married Thomas Kerwin in 1873. 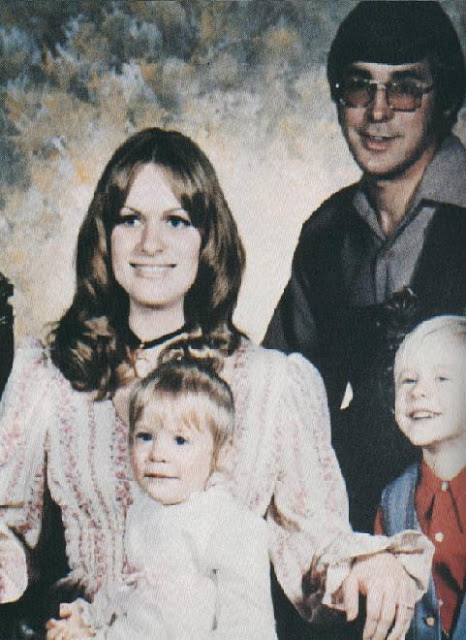 Curtis Donald Cobain in a family portrait accompanied by his mother Wendy Elizabeth Fradenburg, his father Donald Leland Cobain, and his young sister Kimberly.